There are few bands as big, as fabulous, or as EPIC as Queen – and Bohemian Rhapsody is every bit as iconic as the band whose story it tells. And while people assume they know the story as well as they know the music, the legend is even bigger. How do you appeal to Queen and Freddie Mercury die-hards without alienating casual fans? With a setlist of incredible cinemagraphs, fabulous cutdowns, and a heaping helping of incredible music, we had fans and newcomers stomping and clapping even before the curtains rose. #BohemianRhapsody is in theaters in two weeks! Get your tickets now at bohemianrhapsodytickets.com. 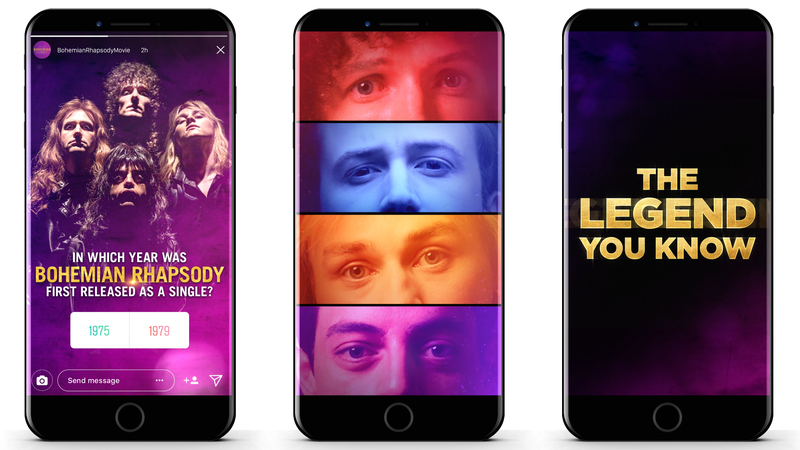 From pre-release ticketing all the way to the top of the worldwide Box Office, we utilized static imagery, eye-popping cinemagraphs and bold, graphic 3D text to communicate critical campaign messaging. As an encore, we developed channel-specific assets, targeting movie-goers with both organic and paid content highlighting the incredible cast, performances, and music from the film.